Rising numbers of Minnesotans are living their lives in multiple languages. The number of Minnesota residents who speak a language besides English at home is increasing. At the same time, 60 percent of those people also report speaking English "very well," a figure that has been consistent over the past decade. Data out this week from the U.S. Census Bureau pinpoint the hot spots of language diversity around the state. Nobles County, in southwestern Minnesota, and Ramsey County have the largest shares of residents who don't speak English at home. Forty-two percent of those Nobles County residents also speak very good English. In Ramsey County, 54 percent are multilingual. In Hennepin County, just 17 percent of residents don't speak English at home, although 57 percent are multilingual. Mastering multiple languages can be a tough task. But it's an essential one for many Minnesotans who must navigate life in English while still communicating with friends and family members who speak another language first. Finding the right words is a balancing act, said Chalee Yang of Brooklyn Center, whose family came to the U.S. in 2004 from Thailand. Like 11.6 percent of Minnesotans, they don't speak English at home. They speak Hmong. "I'm trying to live in my world, the Hmong world, while also maintaining a different world, the English world," Yang said. Among Minnesotans who speak a language other than English, Spanish is by far the most common language followed by Somali and Hmong. And while some of those speakers are less than proficient in English, most are like Yang. "I don't prefer one [language] over [the other]. I see both as important. 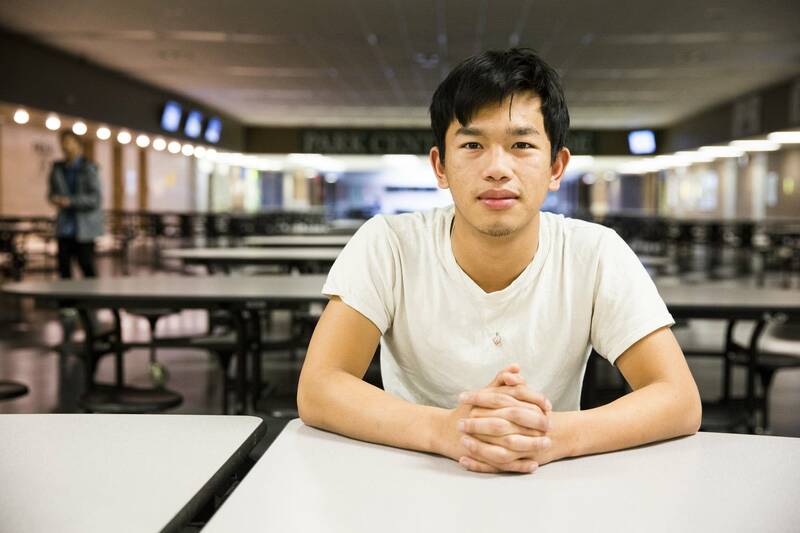 Each one will have their own opportunities to come," said Yang, noting that he's learning Spanish, Thai and Lao, too. Bee Yang, Chalee's father, said he speaks some English, along with Hmong, Thai and Lao and thinks the more languages his son knows, the better. Being multilingual, Chalee "can pull people from a different race, or different region of the world into the company where I'm working," Bee Yang said in Hmong as Chalee translated. University of Minnesota professor Frances Vavrus helps weigh hiring and admissions for one of the university's graduate programs. Non-English first languages can be useful for students' research, she said. Students at the university must also show English proficiency. "I can think of a student right now that I have from Kenya. He has excellent English skills but he conducted much of his research in Kenya using the national language, Kiswahili," Vavrus said. She said department faculty also have diverse language backgrounds. "We're all seeing the phenomenon that we're interested in slightly differently and that generates new knowledge that wouldn't be possible if it were only a monolingual, monocultural research group," Vavrus said. While Spanish, Somali and Hmong are the most common non-English languages spoken in Minnesota, they are not nearly the only ones. English proficiency is especially high among speakers of Native American languages, German and several languages associated with India. The impact of this multilingualism in the workplace overall is hard to measure because state data doesn't track employer demand for languages. A 2016 survey of employers by the Minnesota Department of Employment and Economic Development offers a proxy. The survey asked employers how they define "diversity." "Language spoken" was cited less than half the time. The trait was much more likely to be cited by large employers, said DEED agency and performance manager Rachel Vilsack. "Having business locations across the globe or across the United States could be [a reason]," Vilsack said. She said large companies also likely have a bigger human resources office that can support increasing workforce diversity. Bee Yang worries that his children's multilingualism might not survive as they grow up in a largely English-speaking society. Yang said he hears many young people speaking less and less Hmong. "If they don't hold on tight to it they might forget who they are," Yang said with Chalee translating. For now, at least, Chalee still has a foot in both worlds.